Horse arenas! 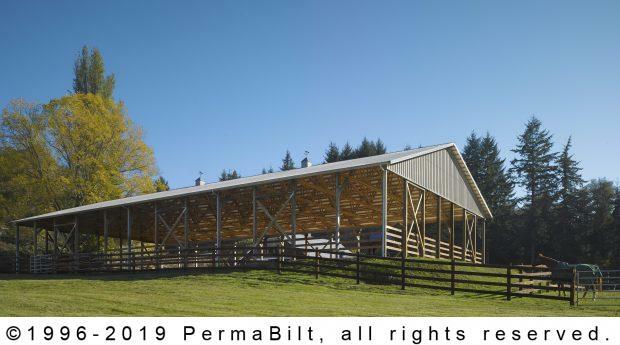 PermaBilt® loves to build them! 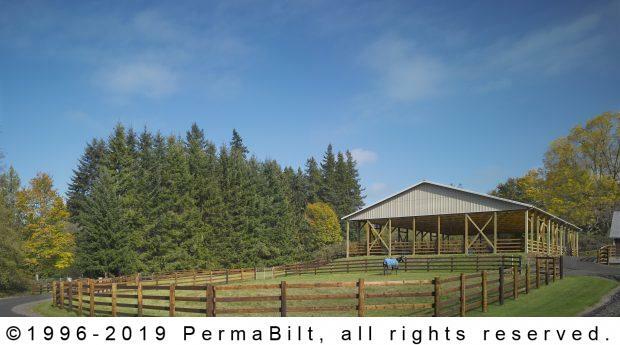 The desire for a horse arena is central to the Northwest’s multitude of horse owners – a place on your property to ride year round without dealing with the rain. 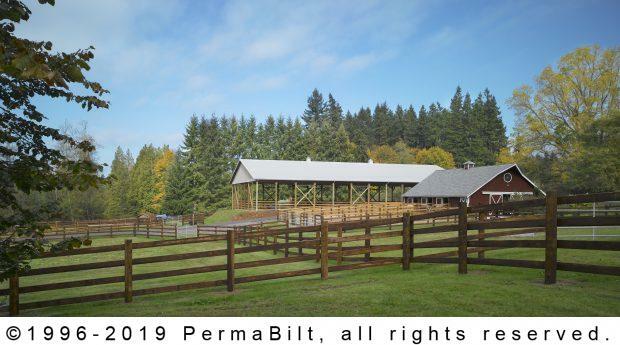 A couple in Poulsbo Washington fulfilled their dream of owning a horse arena bole building a by contacting us to design, obtain permits and construct the equine facility. That key element of course is logistics. It’s a primary topic of discussion when our building representative meets with a prospective client. 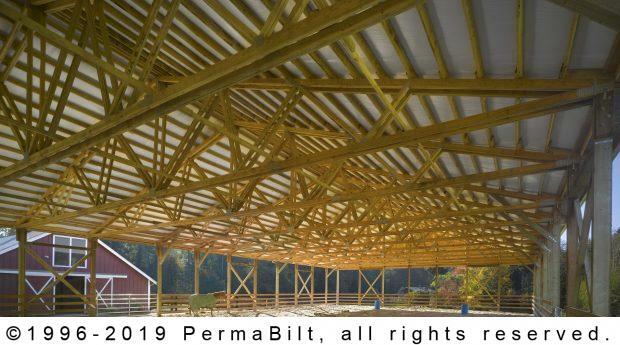 How are posts, lumber, trusses, concrete trucks and other equipment going to manage in the flow between the point of origin and the building site. Logistics came into play prior to the building of this arena. Sharp corners getting through a gate, soft ground along a narrow gravel road and up to the site all came into play. 70’ wide trusses were required for this arena. There were some delicate logistics involved in transporting 22 70’ trusses into this location, however with our vendors and understanding clients working together, all materials reached the site without mishap. The arena measures 70’ x 122’ x 16’. It contains 38 posts. The building is open sided with the exception of a 2” x 6” railin g on all but (2) of the bays. Gables are enclosed with 7/16” T1-11 board and batten. (2) 24” x 24” cupolas with horse (what else) weathervanes sit atop the arena. 18” overhangs, 250 LF of 5” K-Line gutters, (8) downspouts and (8) 24” splash blocks aid in making this a first class arena, one the couple was as delighted to own as we were to build.